The Creativity Post | The Wisdom of the Sloth: Is Sleep a Lost Virtue? Think you can function fine on 6 hours of sleep? You probably can't. In the sixth century, Pope Gregory I compiled an infamous list of seven deadly sins. 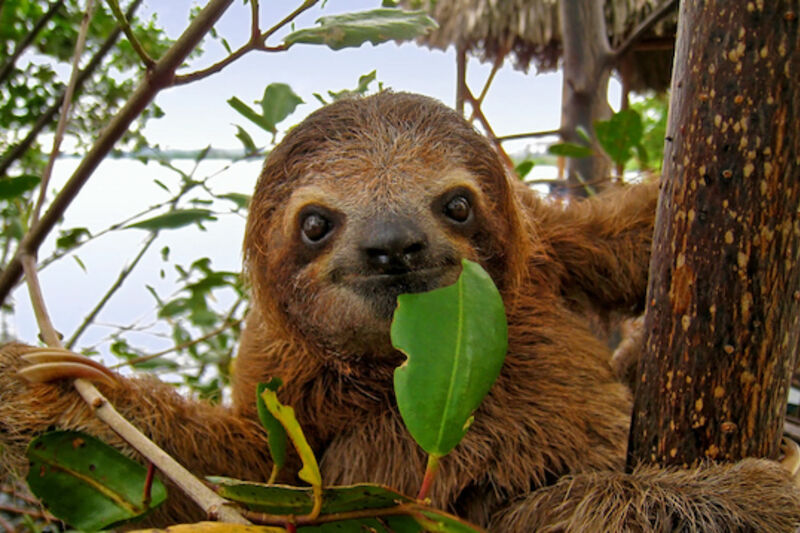 Of these seven, sloth is the only sin named for an animal in English. But are these curious animals truly paragons of evil? 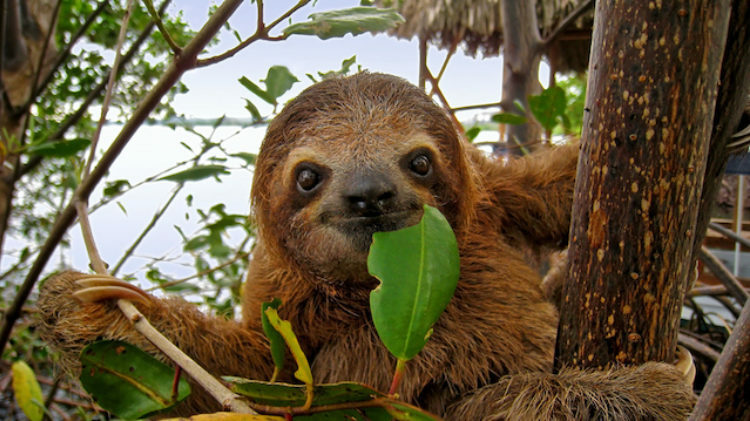 Sloths personify laziness in western culture through a reputation for sleeping a lot (though they actually sleep less than 10 hours a night in the wild). Indeed, seen through the value system of medieval Catholicism, this cute, furry critter must really be a demonic Snorlax hellbent on dragging humanity into a sleepy damnation. But is slothfulness actually wrong? If slothfulness means avoiding responsibility and failing to accomplish important, meaningful goals, then most likely yes. But if slothfulness means sleeping more than 7 hours a night, then we need to rethink our values. A 2013 Gallup poll found that the average American sleeps 6.8 hours a night, with 40 percent of Americans getting less than the recommended minimum of 7 hours. According to Nationwide Children’s Hospital, the average teenager gets a little more than 7 hours of sleep a night while actually needing at least 9 hours. Yet society continues to function ... if only like a frail, untuned clock. According to sleep neuroscientist Matthew Walker, “the number of people who can survive on 6 hours of sleep or less without measurable impairment rounded to a whole number and expressed as a percent is zero.” In fact, most adults need between 7 and 9 hours of sleep per night to be healthy. Not convinced? To really appreciate human sensitivity to sleep, consider daylight savings time (DST). Each year, millions of people lose an hour of sleep when clocks “spring forward” on the first Sunday of DST. Like a cruel experiment, we watch the health consequences of this spring forward: heart attacks and even suicides spike the following week as bodies are put under stress by the sudden change. Though it may feel like we are doing nothing when we sleep, nothing could be further from the truth. During sleep, the fluid filled ventricles of the brain open and allow deadly toxins to drain, the very same amyloid plaques that cause Alzheimer’s disease. A recent brain imaging study by NIH researcher Ehsan Shokri-Kojor and his colleagues measured increases in the molecule beta-amyloid after sleep deprivation in volunteers by tagging key molecules with a radiotracer, or a special molecule that latches onto beta-amyloid and gives off radiation visible to the brain scanner. In this way, the concentration of beta-amyloid in different brain regions is revealed to researchers using a technique called positron emission tomography or PET. Volunteers who were kept awake for 31 straight hours showed huge spikes in the Alzheimer’s causing molecule compared to well rested participants! The implications are clear—pulling an all-nighter is hardly harmless. Beyond staving off Alzheimer’s, sleep generally strengthens of the immune system and protects us against cancer. Because our daily sleep cycle, or circadian rhythm, appears to regulate many biological functions, a night of light sleep throws a wrench into the gears of health and rejuvenation. Moreover, we often fail to take sleep deprivation as seriously as alcohol intoxication, even though both immediately impair our behavior and cognition. 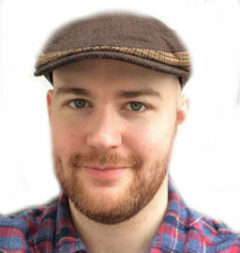 According to Matthew Walker, “After 20 hours of being awake, you are as impaired cognitively as you would be if you were legally drunk.” Driving after 24 straight hours awake gives similar levels of sleep impairment as driving with a blood alcohol concentration of 0.1, higher than what is considered drunk driving in many jurisdictions. Recently, Walker went on the Joe Rogan Experience podcast to share his perspective on sleep as a neuroscientist and promote his new book, Why We Sleep: Unlocking the Power of Sleep and Dreams. During their conversation, Walker and Rogan discuss what is perhaps the most appalling irony of ironies: that medical doctors—the very people who are supposed to be caring for our health—are often complacent in creating today’s sleep deprived culture. New medical residents serve 30 hour shifts, and this sleep deprivation affects not only medical residents, but also their patients. Indeed, Walker states that “Residents working a 30 hour shift are 460 percent more likely to make diagnostic errors in the intensive care unit relative to when they’re working 16 hours.” Doctors’ lack of sleep may literally be killing patients. We have a bit of a cultural problem in the US and other countries. From bosses to self-help gurus to school administrators, responsible and otherwise intelligent people who should know better advocate that we sleep less and accomplish more. Even when we’re not explicitly told to sleep less, advice that often passes for wisdom leaves little space for 8 hours of sleep. Consider retired US Navy SEAL, author, and podcaster Jocko Willink, who relentlessly encourages his followers to wake up before the crack of dawn. Indeed, waking up at 4:30 am and hitting the gym can be a healthy habit—if you’re going to sleep between 8:30 and 9:30 pm. Willink himself goes to sleep between 11 pm and midnight, but admits that more sleep is healthier. As we plow recklessly through the night, coffee cup in one hand and smartphone in the other, we curse sleep whilst slumbering in a deeper, mental sense. True slothfulness isn’t sleeping 8 hours—it’s ignoring our health and taking on important responsibilities in an underslept state. As we update our values based on empirical evidence, it may be only matter of time before society appreciates the true wisdom of the sloth. Shokri-Kojori, E., Wang, G. J., Wiers, C. E., Demiral, S. B., Guo, M., Kim, S. W., ... & Miller, G. (2018). β-Amyloid accumulation in the human brain after one night of sleep deprivation. Proceedings of the National Academy of Sciences, 115(17), 4483-4488. Janszky, I., & Ljung, R. (2008). Shifts to and from daylight saving time and incidence of myocardial infarction. New England Journal of Medicine, 359(18), 1966-1968. Berk, M., Dodd, S., Hallam, K., Berk, L., Gleeson, J., & Henry, M. (2008). Small shifts in diurnal rhythms are associated with an increase in suicide: The effect of daylight saving. Sleep and Biological Rhythms, 6(1), 22-25. This article appeared in Knowing Neurons and Psychology Today. Joel Frohlich (@joel_frohlich) is a postdoc studying consciousness in the lab of Martin Monti at UCLA. He recently completed his Ph.D. in neuroscience in the lab of Shafali Jeste at UCLA, examining EEG biomarkers of neurodevelopmental disorders. For more about Joel's research and writing, please visit Joel's website at joelfrohlich.com.